IMCDb.org: 1952 Rover Jet 1 Gas Turbine [P4] in "British Legends of Motorsport, 1991"
Plate info uses wording often found for museum exhibits as it's on display at the London Science Museum. then updated body to match 1952 and later P4 revisions. It was an ongoing evolution/test mule for several years. 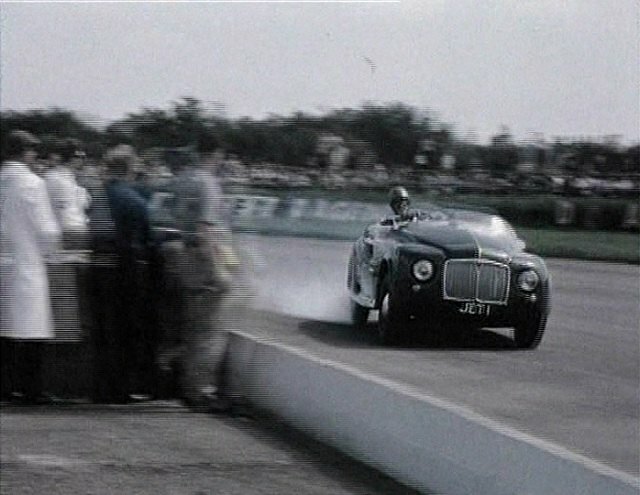 Alexander wrote Jet 1 had its first test-run on March 4 1950, using the T5 turbine engine installed in a P4 chassis and a specially made roadster body. 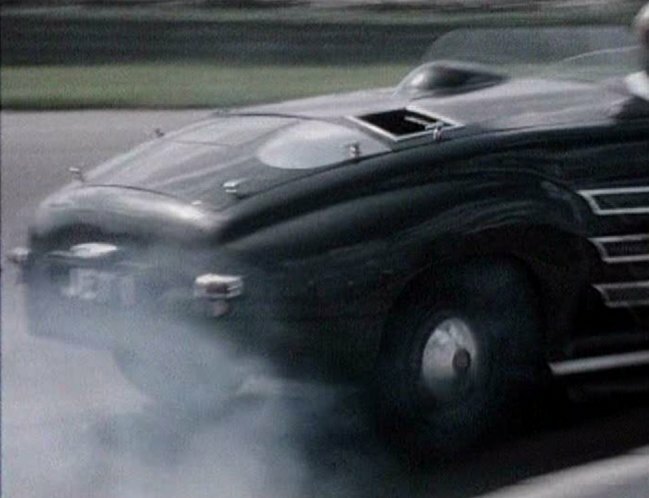 In 1952 the front was modified (lost the cyclop lamp) and the T8 turbine was installed. 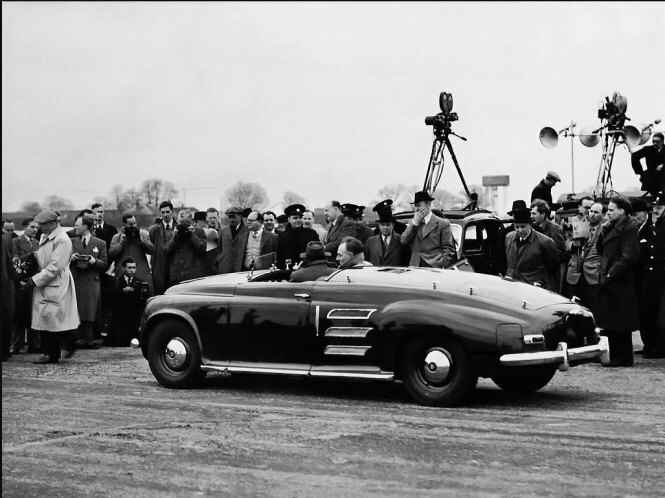 With this it reached a turbine car speed record of 244.55 kph on June 26, 1952. The record run took place on a newly built motorway near Jabbeke in Belgium. All our sightings are 1952+ stage, so presumably we've always entered it that way. 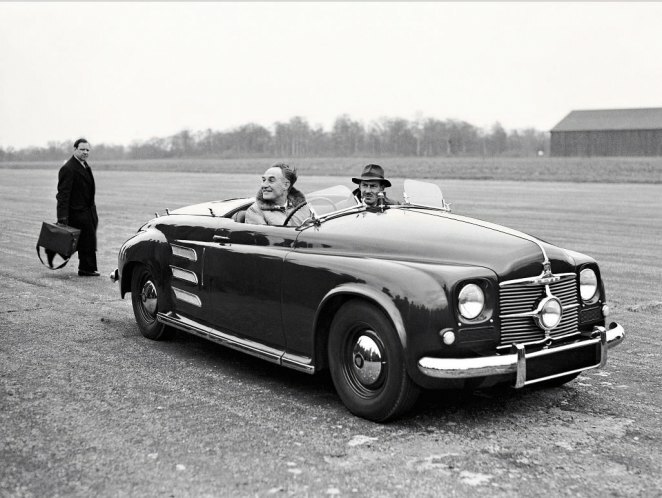 Just as an update on the plate info, the car was built at the start of 1950 and was the first ever gas turbine car in the world, but when Rover first tried to register it DVLA (or its ancestors) refused because it was paraffin fuelled, not petrol and that was not allowed. So the rules were amended. 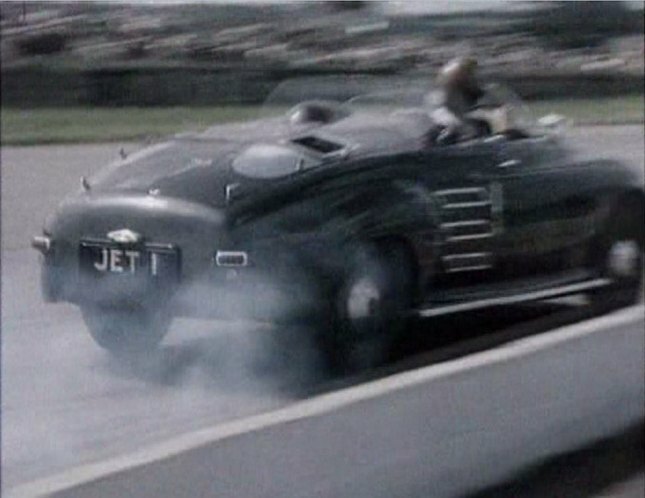 JET 1 was issued prematurely from a Rotherham series which did not start until March 1953, indicating that once the bureaucracy was aligned, DVLA were very helpful. However the December 1948 DVLA date is premature by just over a year.